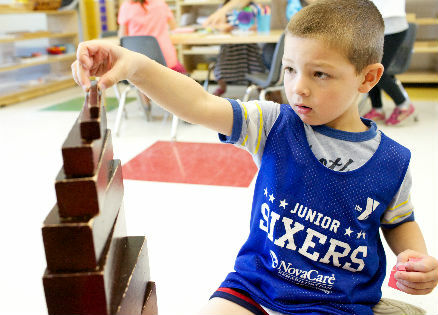 The Montessori Pre-Kindergarten program is recommended by the teachers for children who are ready cognitively and socially for a full day of school and are four years old by September 1st. You have the option of a five afternoon or a three afternoon (Monday, Wednesday, Friday) program in addition to their five day morning program. Pre-K children stay for lunch with their own age group and are involved in small group activities. This program gives the child more opportunity to work with the Montessori materials and allows ample time for individual instruction. During the afternoon, Pre-K students also progress through a series of whole language workbooks, and continue to work with the Montessori materials, which allow for progressive learning through manipulation. Art is also offered once a week. Our Pre-K children learn about the biomes of North America: the Temperate Forests, the Deserts, the Grasslands, the Tropical Forest, the Wetlands, the Mountains, and the Polar Regions. The study of biomes includes subject areas of biology, geography, physical science, and social studies. Math and Language are also taught. 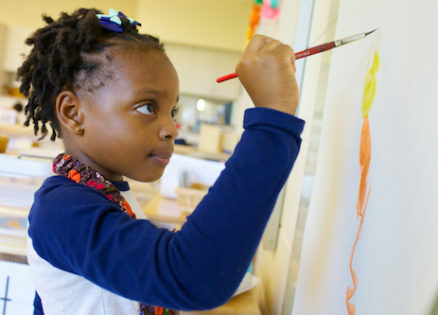 All children possess a keen desire to understand the world around them, and our students will learn about the biomes through scientific observations, experimental activity, science experiments, math activities, music/listening activities, imaginative journeys, cultural activities, and narratives. The core curriculum will be enriched by field trips, coordinated art activities, related songs and stories, play acting, short video presentations, and class presentations by local organizations and volunteers.